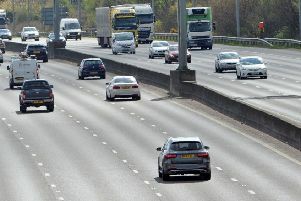 The scorching hot weather looks set to continue with Nottinghamshire expected to enjoy the hottest May Day Bank Holiday on record. Temperatures in the county could reach 26°C this afternoon, beating the previous record of 23.6°C, the Met Office said. It is expected to be another dry and very warm day, with long sunny spells. Forecasters said it was expected to remain dry overnight, with a minimum temperature of 12°C and there would be a find and dry start on Tuesday with very warm temperatures before the risk of scattered thundery showers. Forecasters told residents to enjoy the warm weather while it lasts, however- as the region could be in for some “pretty changeable” weather throughout the second half of May.